We all know how important it is to get the best healthcare for us and our families. The problem is that health insurance can often be very expensive, and unexpected medical bills can be crippling to a family’s finances. But if you live in Michigan and would like to know if you or your kids’ qualify for some State-provided healthcare benefits, then this website is the one you should take a closer look at. 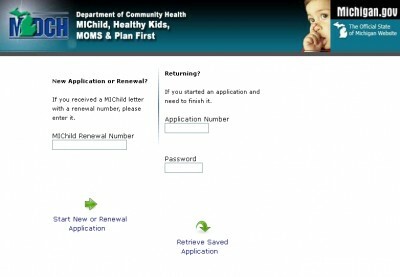 HealthCare4MI.com is managed by the Michigan Department of Community Health, and on its pages you can learn if you or your children are eligible for any of the four healthcare plans provided by the State. The plans are all explained clearly on the website, and they are designed to help different people such as children under eighteen years of age and pregnant women. The site explains itself in simple English, and filling out the applications that let you know who qualifies for any of the provided services doesn’t take more than thirty minutes. 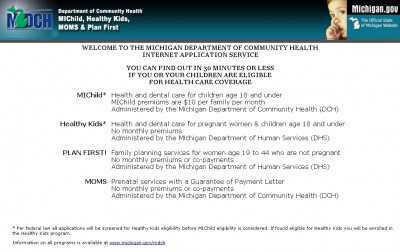 Specifically, HealthCare4MI.com offers the following plans: “MIChild” (health and dental care for children aged 18 and under), “Healthy Kids” (health and dental care for pregnant women, and children aged 18 and under), “Plan First” (family planning services for women aged 19 to 44 who are not pregnant) and “Moms” (prenatal services with a Guarantee of Payment Letter). All plans are free except for the “MIChild” plan – if you sign up for it, there’s a $10 premium to be paid every month for your whole family.